Our state of the art facility houses a high-density storage method to include an industrial powered high-racking system allowing us to more than triple our inventory square footage. Throughout our four branches, we house a multi-million dollar inventory supply, designed to enhance efficiency and productivity all for your convenience. We also offer free-delivery with a fleet of over 10 vehicles, delivering from North Vancouver to Hope, including the Kamloops area. Our outside sales professionals are always ready to visit you on-site, and we are competitive on all makes, parts pricing and monthly specials. Call our Direct Parts Line at 604-882-1470 for more information or visit our online Parts Ordering available through the link below. Keep up to date with all sale items by visiting our monthly sales flyer. Because there is no time for downtime, Uptime is key to our customer’s success. When your truck stands still, so does your business. Any breakdown can impact your bottom line and can also harm your reputation. By visiting one of our Certified Uptime locations, you’ll feel the difference with every service visit. That’s because we have made improvements that make a real difference to you, our valued customers. We’ve adopted standards, service processes and updated our shop layout with Uptime Bay service for short repairs, all to deliver maximum uptime for your business. CHECK IN – your Service Advisor will perform a walk-around assessment and access your vehicle’s data. 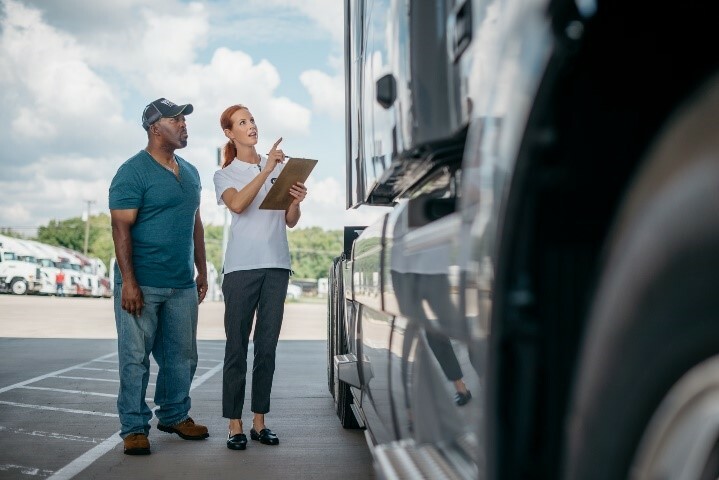 Check-in and initial diagnostics will be completed in under two hours, so you’ll quickly know your truck’s status and can approve a repair plan. 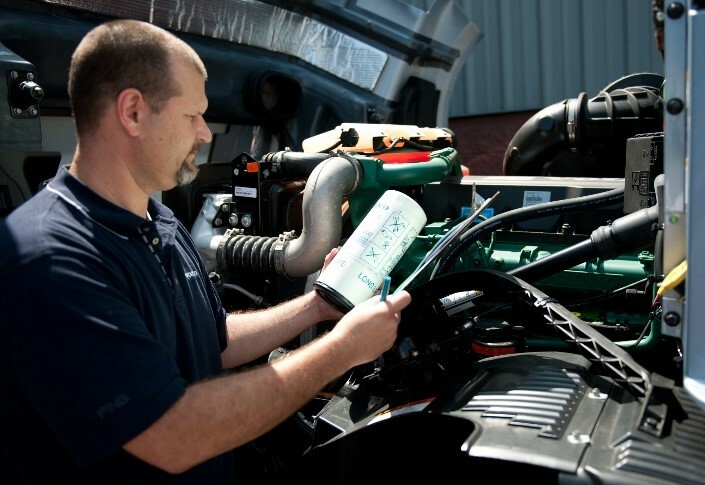 UPTIME BAY – If the assessment indicates quick diagnostics and repair, your truck goes directly to an Uptime Bay. This ensures that short repairs are performed and completed within hours, not days. ADVANCED BAY – If the assessment reveals that advanced diagnostics are required, your truck will be routed to an Advanced Bay. You’ll be advised of the anticipated repair time and costs ASAP. The road is an unpredictable place. Our goal is to minimize the risk of a breakdown; if one does occur, these resources and our Uptime Centers are mobilized to work with you and get your truck back on the road as quickly as possible. At Pacific Coast Heavy Truck Group, we are committed to you and your business. 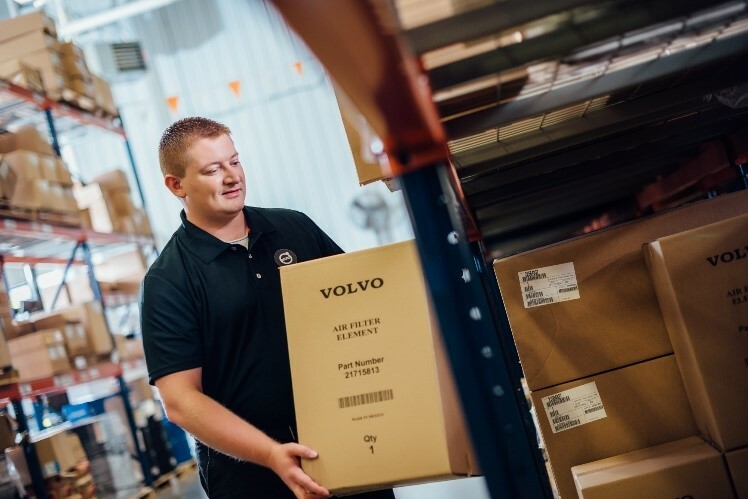 As a Mack and Volvo Certified I-Shift / M-Drive Overhaul facility, we are your number one Mack and Volvo specialists, ready to assist you with all your service needs to get you back on the road.